Lyft is one of largest and most popular commercial "rideshare" transportation network companies that has taken over the private, for-hire transportation industry formerly dominating by taxi services. Lyft is an on-demand transportation provider that has a network of for-hire drivers and users who connect via the Lyft app on their smart phones. At this point everyone is pretty familiar with who the Lyft system works but here is a brief summary. Riders download the Lyft app on their phone and open a rider account which is linked to a credit card. Once they have their Lyft account setup users can request a ride/pick from the app on their phone. The ride request gets transmitted to all nearby Lyft drivers for review and acceptance. Once a nearby Lyft driver accepts the fare the phone app notifies the rider and tracks the driver's progress to the pick-up location. Once the rider is dropped-off, payment for the ride is processed electronically through the Lyft app. Commercial ridesharing / transportation networks have exploded in popularity and usage over the last decade. The company with the largest share of the commercial rideshare market is Uber. However, Lyft has emerged as the primary competitor to Uber and is now a close second with 30% of the ride-hailing market share. Lyft is headquartered in San Francisco and launched shortly after Uber, but the 2 companies follow the same basic business model. As Lyft and other rideshare companies continue to grow in popularity in Maryland and elsewhere, the number of Lyft drivers active on Maryland roadways continues to rise. 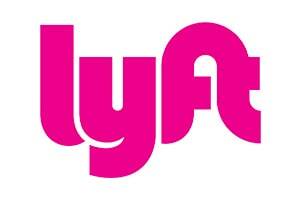 More Lyft drivers on the road invariably means more auto accidents involving Lyft drivers. This raises several obvious questions. What if you are injured in an auto accident and a Lyft driver is at fault? What if you are a Lyft passenger and you get seriously injured in an accident? Lyft drivers are technically independent contractors. Legally this means that Lyft is not automatically liable for the actions of their drivers. However, Lyft can definitely have direct liability for injuries and damages caused by their drivers under certain circumstances. Lyft also fully assumes liability for injuries to passengers. Lyft's liability in an accident will depend largely on the status of the driver at the time the accident occurs. As the chart below demonstrates, if a Lyft driver is on-duty with a passenger in the car when an accident occurs, the full scope of Lyft's $1 million driver / rider insurance policy applies. If the accident occurs when the Lyft driver is "on duty" but not picking up or delivering a passenger, Lyft provides a lower level of coverage. If the driver is off-duty then Lyft does not cover ant accidents the driver may be involved in. The Lyft driver app has an on / off mode that functions much like the off duty light on top of a taxi. When the Lyft driver has their app in "on mode" they are basically "on-duty" and available to receive and accept pick-up requests. When the driver app is in "off" mode the Lyft driver is considered off-duty. He or she will not receive any Lyft pick-up requests. If the Lyft driver app is turned off when an accident occurs, coverage under the Lyft policy does not apply. The driver is using their vehicle for personal use at the time and the accident is covered under their own personal auto insurance policy. The moment the Lyft driver app get switched on that driver is available to receive new passengers and the first tier of the Lyft coverage kicks in to cover any potential accidents. In this situation Lyft provides "contingent coverage" which means that the driver's own auto policy provides primary coverage and the Lyft policy will only kick in there is no coverage under the driver's own policy. This is actually better than the first tier of coverage provided by Uber's which only applies once the driver's coverage is maxed out. The minute a driver accepts a new Lyft passenger on the driver app until the time they drop the passenger off and complete the fair, Lyft's $1 million full coverage accident policy will provide primary coverage for all accidents and resulting injuries. Once the passenger is dropped off and the fare is completed then this coverage terminates. Lyft itself does not get directly involved in any accident claims. Rather auto accident liability claims against Lyft are processed by an independent adjuster, York Risk Services. Despite the fact that Lyft drivers are independent contractors and not employees, Lyft can still be potentially liable if its drivers commit intentional torts or other bad acts involving Lyft passengers. For example, suppose a Lyft driver assaults or rapes a passenger. That passenger may have a valid lawsuit against Lyft. Lyft's rideshare competitor, Uber, has actually been involved in a handful of highly publicized cases involving liability for driver assaults on passengers. One of these cases generated an influential written opinion from the U.S. District Court for the Northern District of California. In that case a female Uber passenger was sexually assaulted by her driver and she sued Uber. Uber moved to dismiss the case on the grounds that it could not be liable since the driver was an independent contractor. A Federal Judge rejected Uber's argument and held that Uber maintains a level of control over its drivers that is consistent with an employer-employee relationship. This meant that Uber could potentially be liable for the actions of its driver just like they would be if the driver was classified as an employee. Lyft does not want accident cases going to trial. Why? Because they are printing money and they know the great risk to the printing press is bad publicity. It is important that car accident lawyers handling Lyft cases understand this because you do not want to make the same demand for settlement against Lyft that you would against an insurance company like State Farm. Because Lyft is going to pay a lot more in a settlement for the exact same claim. Miller & Zois handles major auto accident cases in Maryland the surrounding areas. If you have an accident claim against Lyft (or Uber) or another rideshare company, contact our accident lawyers today for a free consultation. Call us at 800-553-8082 or request a case evaluation online.